[RALEIGH] A Wake Superior Court judge ruled Tuesday that a three-judge panel should decide whether four proposed constitutional amendments passed by the Republican-led General Assembly should be kept off the Nov. 6thballot. Judge Paul Ridgeway heard arguments from attorneys for the NCNAACP and Clean Air Carolina suing against the amendments, one of which would re-establish photo voter ID. Attorneys for Gov. Roy Cooper also argued against two amendments that would strip the governor of appointment powers to state boards and judicial vacancies. Ridgeway said he would urge the state Supreme Court Chief Justice to appoint a three-judge panel to decide the cases, but retained the right to make a decision is needed. [WINSTON-SALEM] Three months before his possible re-election, state House Rep. Ed Hanes (D-Forsyth), announced Tuesday that he was resigning his seat effective immediately. Reportedly, Hanes, a two-term Democrat, is leaving to take advantage of an “opportunity” he considers to be important. He has asked that Winston-Salem City Councilman Derwin Montgomery be named to replace Hanes. The county Democratic Party and Gov. Cooper must confirm that appointment. Montgomery is currently co-owner of the Winston-Salem Chronicle. [RALEIGH] A Republican state Supreme court candidate who GOP lawmakers passed a law to keep his party designation off the November ballot because he was recently a Democrat, has sued, and gotten a Wake Superior Court judge to grant him a partial victory in getting his party affiliation returned to the three-candidate ballot. However, Chris Anglin will have to return to court Monday to hear what the judge says about striking down the law in its entirety. Republican lawmakers overrode Gov. Cooper’s veto of the law mandating that candidates had to be registered with the party they run on 90-days before they file for office. But the law clearly was directed at Anglin. The judge said because it was retroactive, it denied him his due process rights. 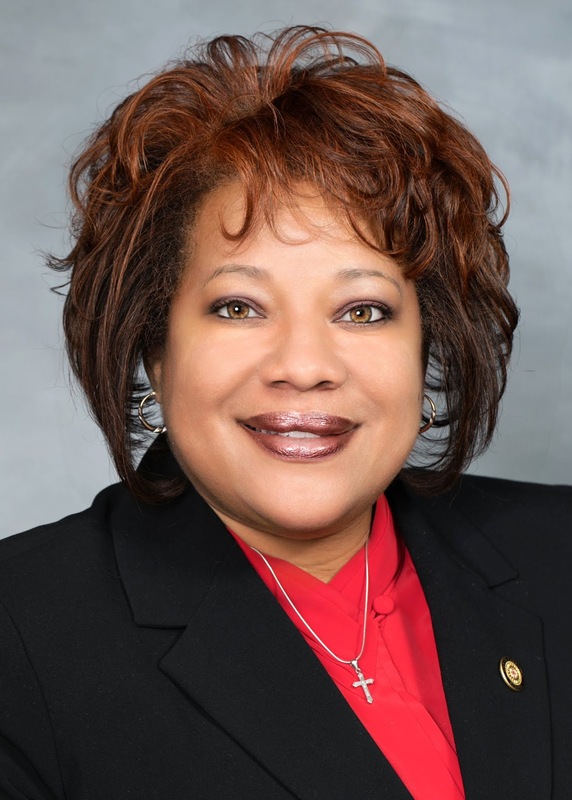 When it comes to “…disenfranchising African-American voters primarily, [Republicans] are definitely up to no good,” said state Sen. Erica Smith (D – Bertie), chair of the NC Legislative Black Caucus, in a recent phone interview. The main target of her ire – the constitutional amendment, passed during a recent special session of the Republican-led General Assembly, that would ask voters via ballot referendum this fall whether they favor a voter ID law in North Carolina. A Wake Superior Court judge ruled Tuesday that a three-judge panel hear the case as soon as possible. Sen. Smith, a two-term Democrat, couldn’t agree more. “The [US] Supreme Court in 2016, July, ruled that the [2013 voter photo ID law] was unconstitutional,…so now the Republican-led General Assembly is attempting to legislate and put discrimination into our [state] Constitution by suppressing the black vote,” Smith maintained. For their part, Republican legislative leaders hold to the premise that they are not trying to suppress anyone’s vote, only trying to ensure the “integrity” of the voting process in North Carolina, and try to prevent, what they believe is “rampant” voter fraud that heretofore, has gone undetected. Indeed, study after study has concluded that after millions of votes cast in the most recent statewide elections going back to presidential year 2008, there have been but a handful of fraudulent votes, and very few of those were cast in person. Sen. Smith points to what happened during the March 2016 primaries to show how 80,000 voters across the state were “ineligible” to cast ballots because the 2013 voter ID law had not yet been overturned. “Despite how the amendments are worded on the ballot, look behind the wording and between the lines for what is not being said, because this will have a very negative impact on representation of all communities in North Carolina,” she said.